Today in This Is A Terrible F*cking Idea, Seriously, Whose Idea Was This news, Warner Brothers is exploring the possibility of rebooting The Matrix. 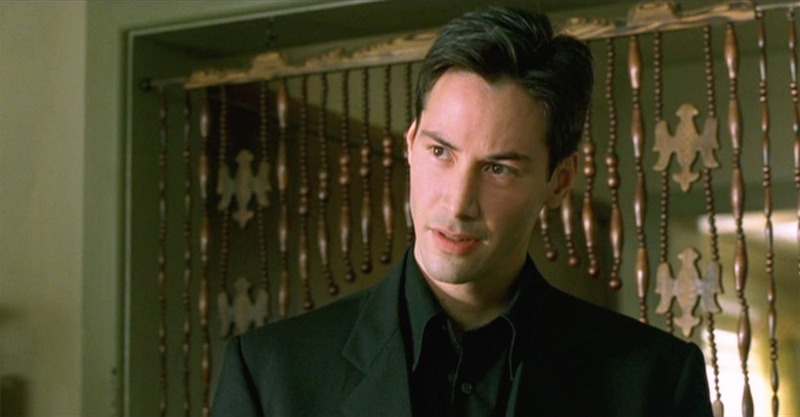 Everything is sequels and reboots these days, so it’s not outside the realm of expectation that someone would have this idea—apparently producer Joel Silver had previously approached the studio about doing a new/another Matrix movie—it’s just that it’s so obviously a bad idea I can’t believe it’s survived long enough to make into a trade. The Hollywood Reporter says Warners “is in the early stages” of developing a “relaunch” of The Matrix which to me doesn’t sound like a Morpheus spin-off or a “twenty years later” sequel, but a full on reboot. 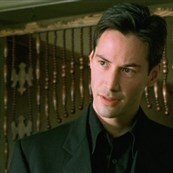 The Matrix was lightning in a bottle and it can never be reproduced or recaptured. Hell, the Wachowskis weren’t even able to deliver decent sequels, and the trilogy became a case of diminishing returns. The only reason The Matrix isn’t remembered as a cinematic catastrophe is because 1) the first movie is (still) AMAZING, and 2) the Star Wars prequels were going down in an even greater conflagration at the same time. But it’s not like The Matrix has a strong track record—the original series flamed out. And it doesn’t sound like the Wachowskis are involved, and neither is Keanu Reeves—although he has said he’d be up for more if the Wachowskis were making it—so this is just Warners taking a popular title and shaking it to see if any money falls out. (Is anyone else starting to suspect that Warners might actually be in trouble?) That’s two-thirds of studio films these days, and sometimes it works and sometimes it doesn’t, and The Matrix is not likely to work. It was just the right combination of stylish action, complicated enough to hook you but not too hard to follow plotting, visionary directors working with a legit Movie Star, and NO F*CKING COMPETITION AT THE BOX OFFICE. The Matrix came out in March 1999. Back then, March was not a busy month. It wasn’t a graveyard like January and February, but it wasn’t a strongly competitive month, either. Other March ’99 releases include Cruel Intentions, 10 Things I Hate About You, Analyze This, Forces of Nature, and EDtv. There were a lot of romances and a lot of movies aimed at teens—two things that practically don’t exist anymore—but the only other action movies that month were Lock, Stock and Two Smoking Barrels and The Mod Squad reboot (which tanked). There just wasn’t any competition, which allowed The Matrix to grab an audience and become a phenomenon. The problem with rebooting successful-but-old movies is that the world in which they were successful no longer exists. The Matrix changed how action movies look, but we’re actually moving away from that effects-heavy model as audiences are responding better and more strongly to practical effects. Movies like The Raid and John Wick have pushed us back in the direction of real stunts and practical action. Are there still FX bonanzas? Sure—comic book movies. But what has everyone been praising Marvel for lately? The fist fights. The practical stunts it’s obvious real people are performing. Special effects are no longer special, and audiences like practical stunts again, so where does that leave The Matrix? Warners will probably reboot it because those deck chairs aren’t going to rearrange themselves, but does anyone think they can repeat the success of the original Matrix?